Italian nu-disco label Sound Exhibitions have been busy, busy, busy of late but at they've got round to delivering the 11th installment in Afro Funk's Funk & Afro series. We last got our fix back in August but with four ripe new jams to check out its been worth the wait. The title track kicks things off with tight guitar licks and erratic percussion. 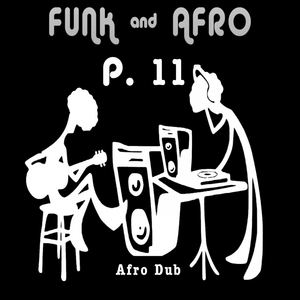 Then it's all about the brass, bongos and boogie on "Afro In The Night", before "Special Funk" slows things down to a squelchy groove and "For Street" wraps things up with some light funk licks, record scratching and block-rocking vibes.